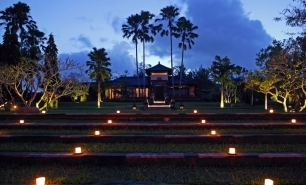 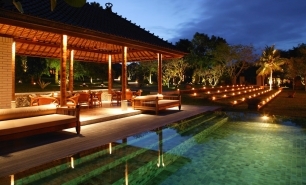 The Chedi Club At Tanah Gajah is located in the Tanah Gajah village, 3 km south-east of Ubud, among lush highlands and rice fields in central Bali. 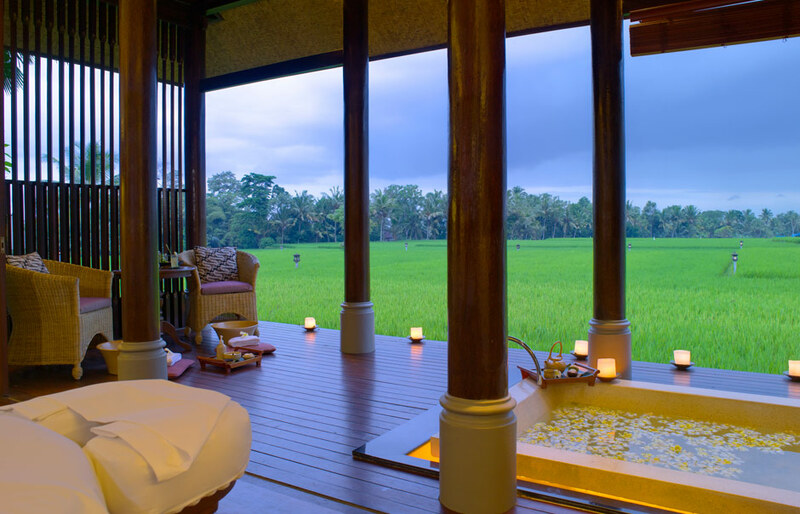 Ubud is a great base from which to explore central Bali, with its famous rice terraces, cultural events and performances. 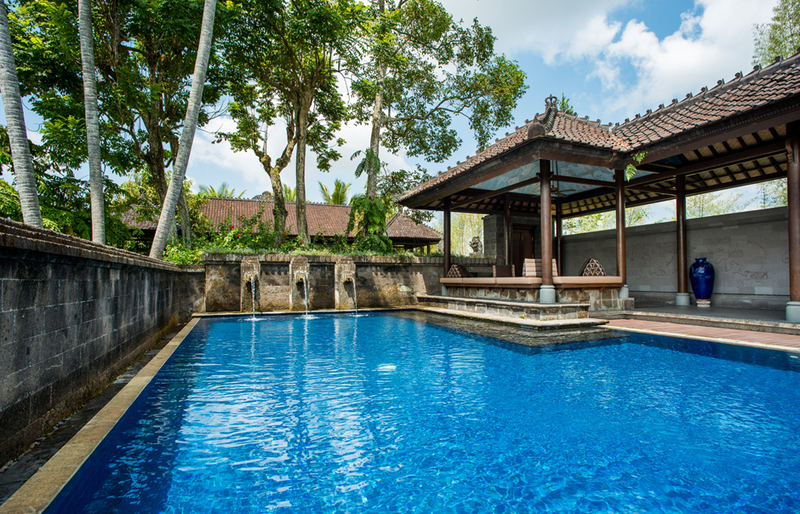 It is also worth paying a visit to the temples at the foothills of Gunung Batur, the largest active volcano on the island. 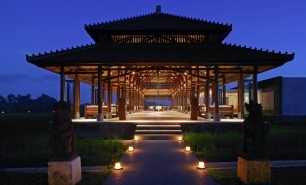 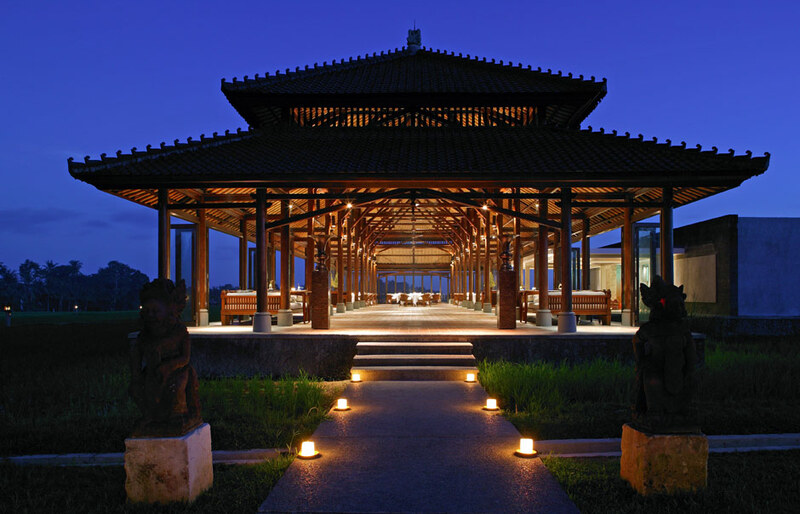 The Chedi is set in a 5 hectare estate formerly owned by Hendra Hadiprana one of Indonesia’s most respected art collectors, which has been transformed into a hotel-resort with villas featuring original Balinese artwork from his collection. 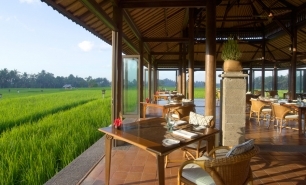 The views of sunrises over Gunung Agung volcano are excellent and the resort’s location allows for morning rice-paddy walks. 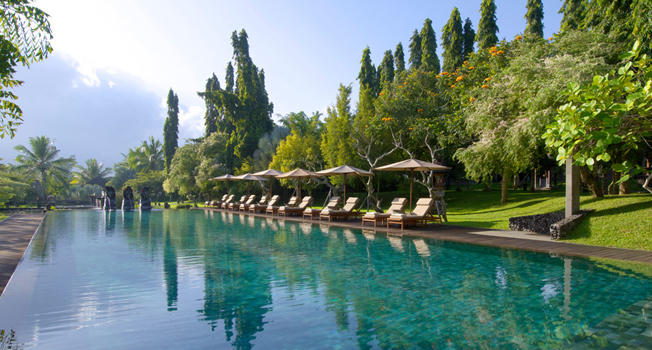 For relaxation, there is nothing better than simply sitting by the estate’s lotus pond and watching the resident white Dutch and black Australian swans. 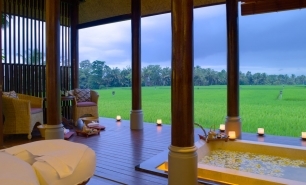 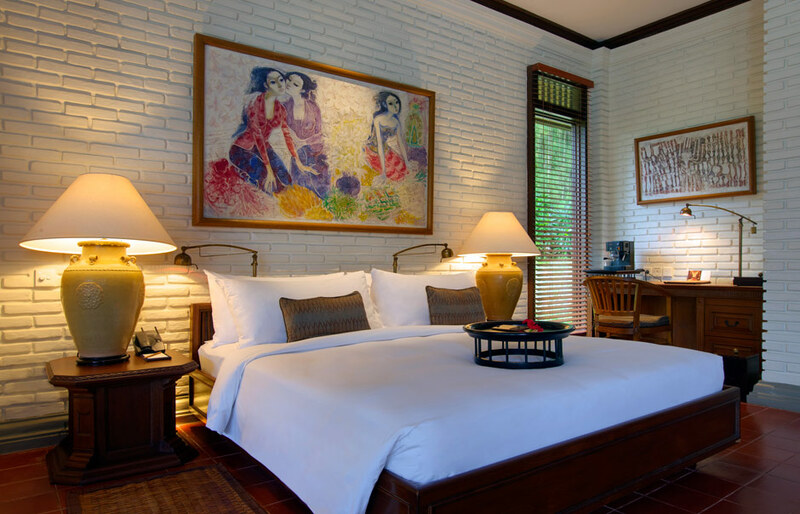 There are 20 Suites and Villas including seven One-Bedroom Suites (70sqm) and nine spacious One-Bedroom Pool Villas (280sqm) with private pools and sundecks overlooking the paddy fields. 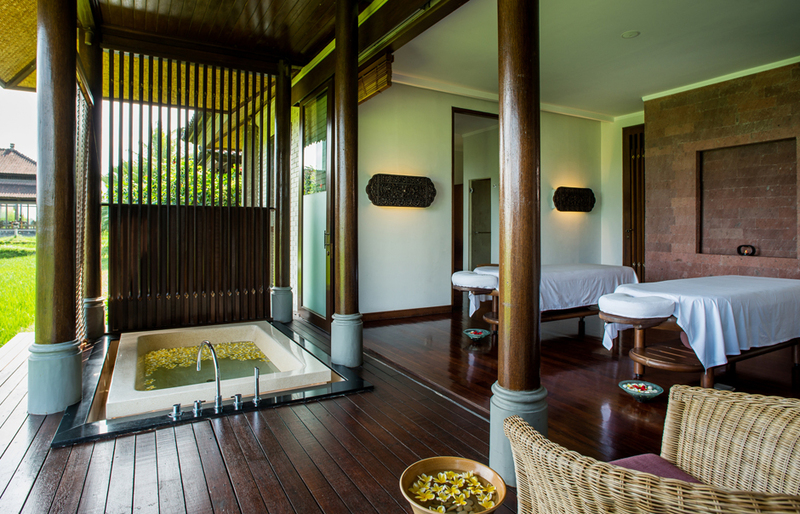 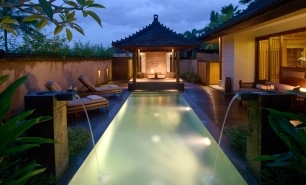 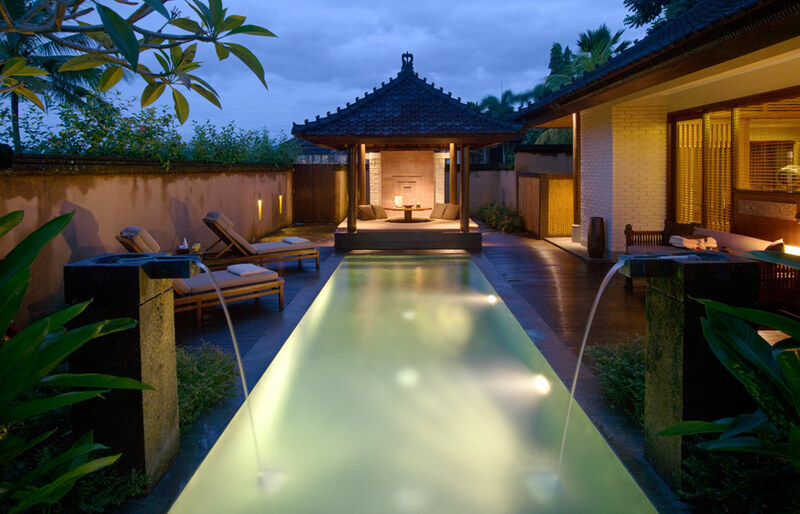 There are also three One-Bedroom Spa Villas (160sqm) where guests can enjoy in-house spa treatments and the very spacious Hadiprana Villa, (550sqm) featuring artwork from the owner’s private collection and a 10-metre long pool. 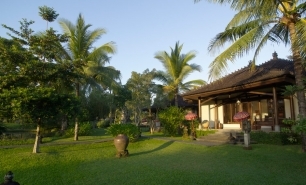 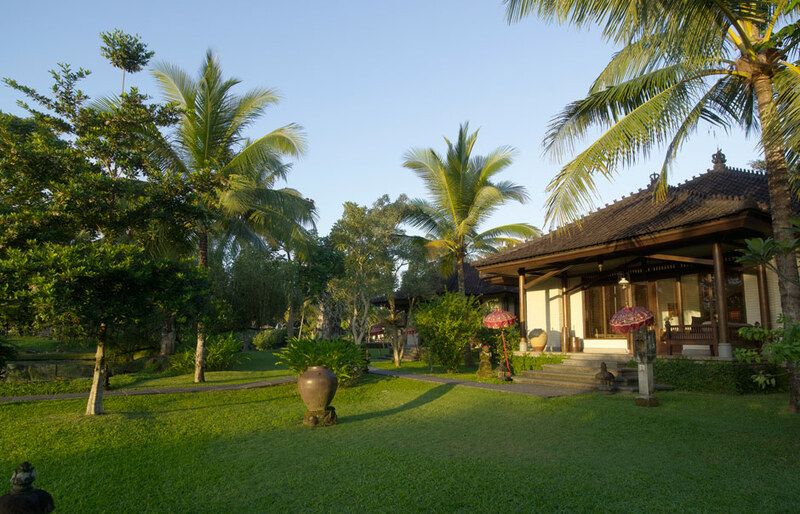 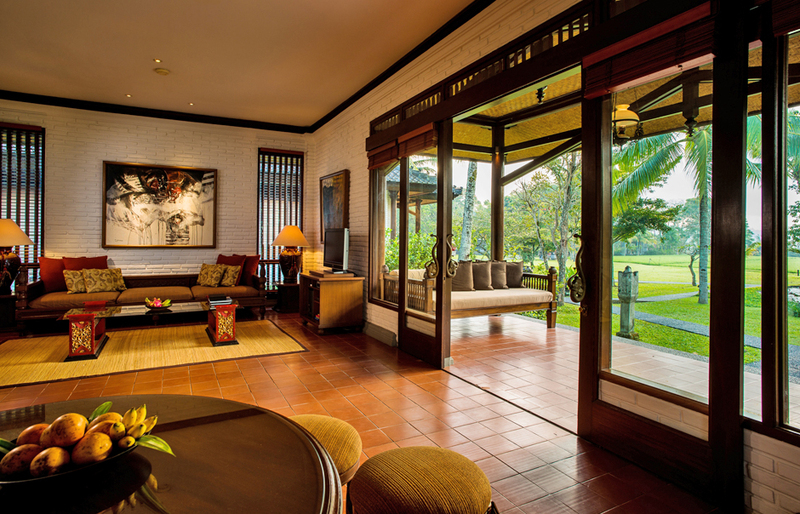 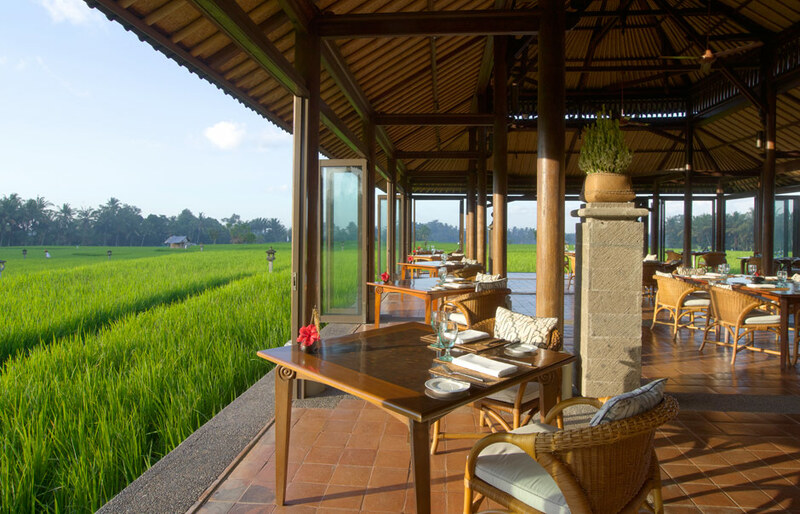 The Restaurant and Club Lounge serves Indonesian and Western dishes and offers views of Tanah Gajah’s rice fields, Gunung Agung volcano and the coconut palm groves surrounding the village. There is a spa, a gym and a tennis court at the resort.